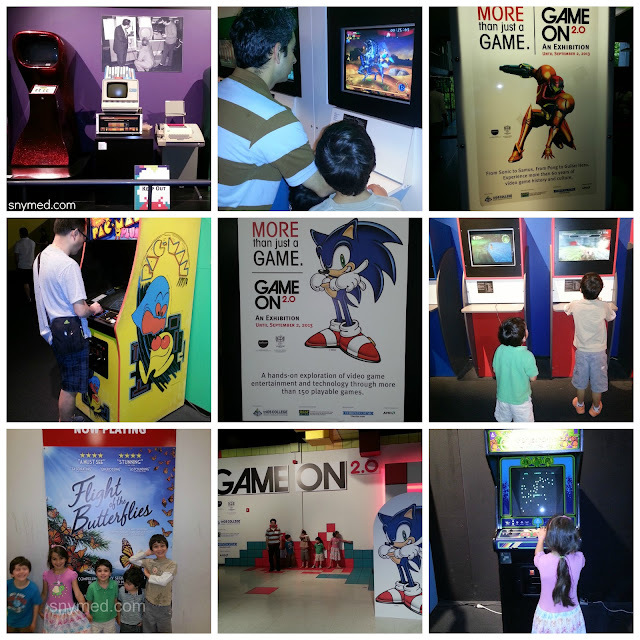 Game On 2.0 Runs Til September 2nd, 2013 at Ontario Science Centre! Ontario Science Centre has always offered fascinating exhibits for the whole family. I remember fondly panning for real gold in the late 1970s or early 80s! 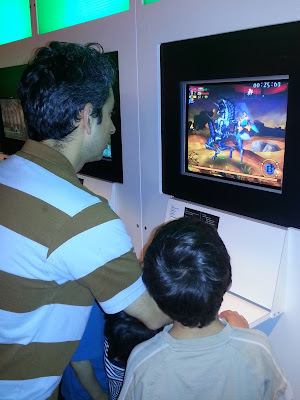 Game On 2.0 is Ontario Science Centre’s current interactive videogame exhibit, running until September 2nd, 2013. The exhibit is a real walk down memory lane for some of us parents, and features vintage video games in fully playable condition! Not only are they fully playable, the “arcade” is also arranged in chronological order by release date, and patrons are invited to play the games! No quarters required! Stand Aside Son! I'll Show You How It's Done! My kids loved my games, but no one was as serious about gaming as my husband! He is fantastic in video games, and his competitive nature really showed through. What I found thrilling about the Game On 2.0 exhibit, was that the video games still endured, were still fun to play, and the music and graphics were still addictive--although many were obsolete. 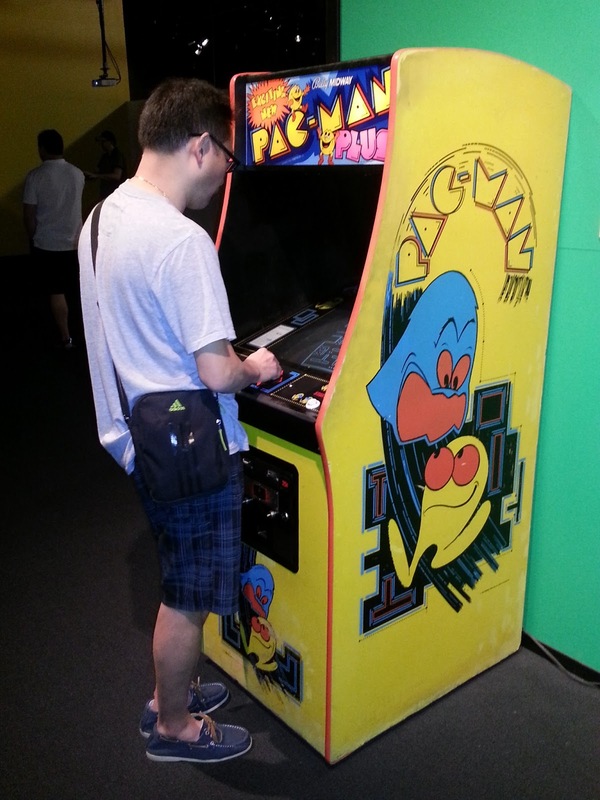 Pac-Man Was Still King 30 Years Later! What I found particularly amazing, was that the most popular videogames were still lined up—over 30 years later! I could not get near Pac-Man, and a there was a line up behind me for Centipede. I Still Stink at Centipede 30 Years Later! 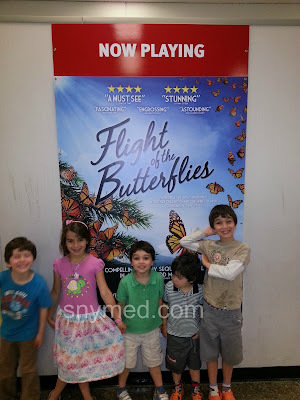 While visiting the Ontario Science Centre, my family also enjoyed the Flight of the Butterflies Imax movie. It was a beautiful film about the migration of the monarch butterfly, and how one man spent a lifetime searching for the monarch butterfly’s winter home. It’s definitely worth seeing! 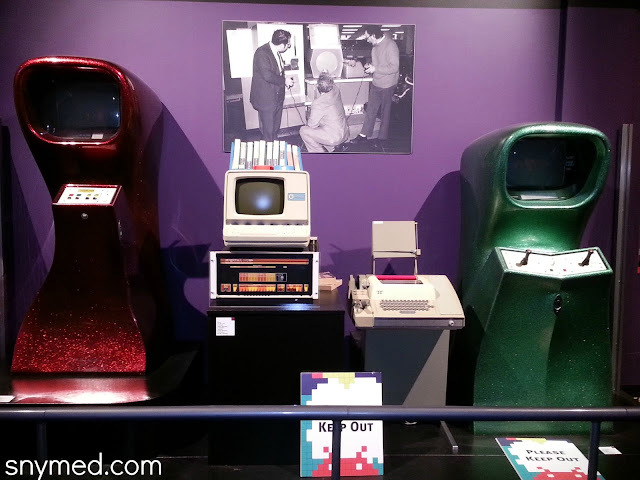 Check out my past posts about Ontario Science Centre's Beyond Planet Earth exhibit, and an interview with Born to be Wild Imax film director David Lickley. 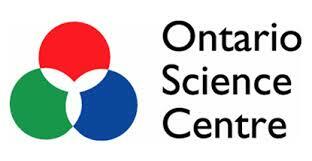 Follow Ontario Science Centre on social media! Visit Ontario Science Centre to Get Your Game On! WIN an Ontario Science Centre family day pass (admits 5)! Ontario Science Centre is located in Toronto, Ontario, Canada. Contest runs until Thursday August 8th, 2013 and is open to Canada. Leave a COMMENT below stating your favourite videogame of all time OR tell me what you think of butterflies! Then, use the entry form below to enter the contest. GOOD LUCK! WIN an Ontario Science Centre family day pass for 5 people! We SOOOO want to go to see this Game exhibit. I should have gone back in March when it opened! lol. Street Fighter - Chun Li rocked. My favorite video game of all time is Pacman! I haven't to the Science centre since 4 years ago! Love seeing all the exhibits and we even got to watch the Mars Rover movie in IMAX! Too cool. 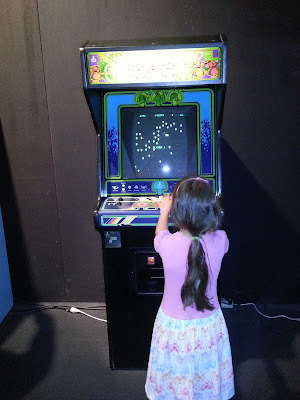 I loved to play Galaga at the arcade, though i was never any good at it. The original Lode Runner... I suppose this dates me! pac man is my all time favorite. My fave was Dragon's Lair, although I'm still playing Dungeons and Dragons:Treasure of Tarmin on the Intellivion console, and that's 30 years old! I loved playing Cabbage Patch Kids and Smurfs on my Coleco Vision! And it still works...so much fun! Definitely pac man! It's so addictive! I remember the fun of playing Donkey Kong on a friend`s portable tabletop unit. Hours passed in the quest for points and the next level up. Tetris is my favourite game of all time. So fun and addictive! Fave game ever as a kid was Tetris. My favourite video game is Pac Man. My favourite video game of all time is such a hard choice! I loved Legends of Zelda on the Nintendo 64, Kingdom Hearts on PS2. The very first Mario Bros. on the NES. I was obsessed with that game and have arguments with my older brother who finished the game first... it was me! favorite game of all time has to be the first Mario Bros. on NES. I was obsessed with that game, everyday after school I'd be playing. I have arguments with my older brother as to who finished it first... psst it was me! I think they would be most excited about the Kidspark. I've heard great things about it too! Flight of the butterflies looks really interesting and we love IMAX. My kids are just at the age (three) where they find butterflies fascinating. Thanks for hosting. Mario Brothers! Butterflies are just one example of the beautiful miracle that mother nature brings us every single day. Mario Brothers!! Butterflies are just one example of the many miracles mother nature brings us every single day! love the science centre! Kaelyn loves butterflies with a passion, I should def take her sometime!